In the mid 90s, when Microsoft Windows 95 was launched, MS Paint was one of the operating system’s most fascinating tools. But creating truly impressive artworks with it required a lot of time and mountains of patience, so it came as no surprise that digital artists migrated to more advanced software like Adobe Photoshop as soon as they came out. Not all of them, though. Take amateur illustrator Pat Hines, who has been using MS Paint for over a decade, because he just couldn’t get the hang of modern editing software. 34-year-old Pat Hines discovered Microsoft Paint about 12 years ago, while working long overnights at a hospital reception desk, as a security guard. 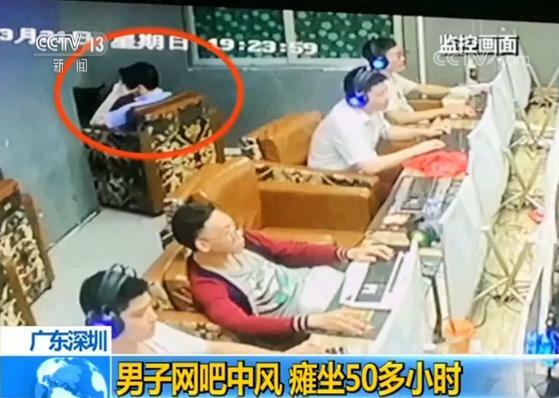 He didn’t really like Windows games like Solitaire or Free Cell, so he would kill time by practicing his artistic talents in the rudimentary digital editor. His early works weren’t more than simple doodles, but as time passed and he learned the ins and outs of the software, his illustrations got better, and he developed his own style. 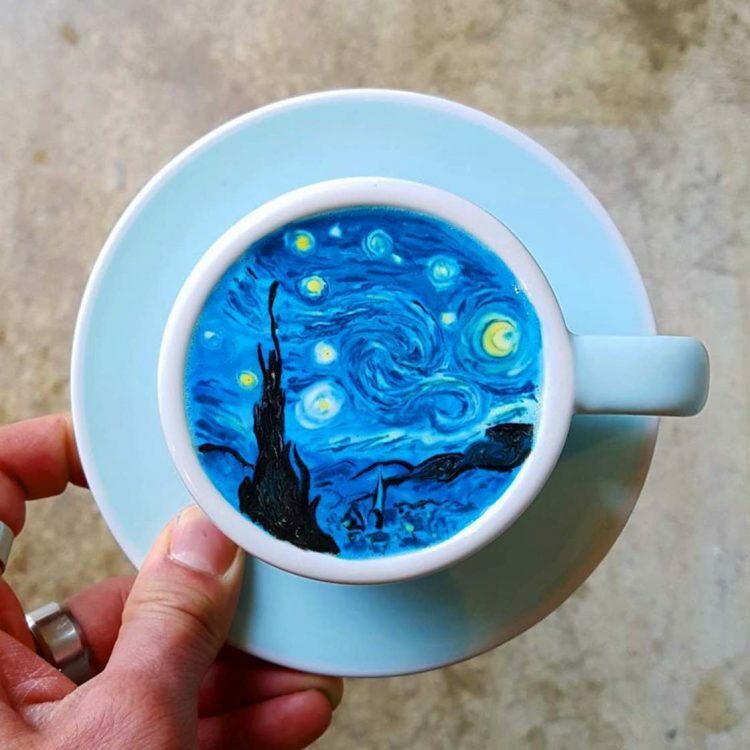 Hines claims that one of the most important things he learned while honing his MS Paint skills in his off time on the job was that a single pixel can make a notable difference in his artwork. 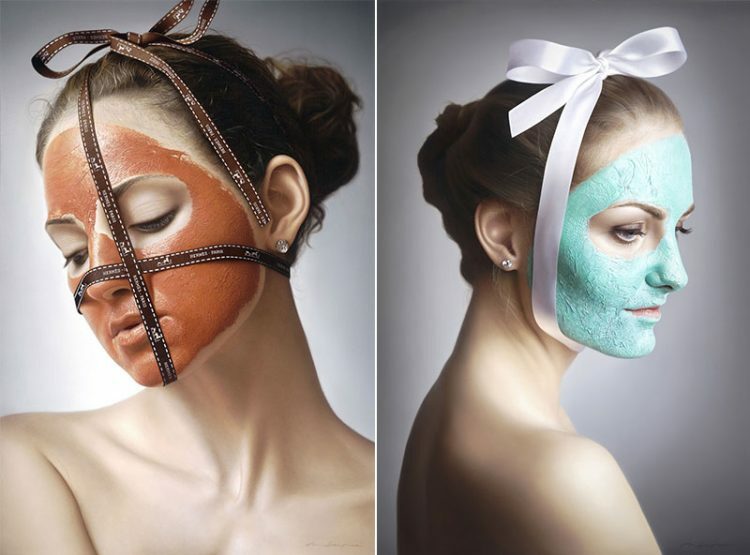 Swedish artist Anna Halldin Maule spends several months glazing layer upon layer of oil paint to create these stunning works of art that can easily pass for high-resolution photographs to the untrained eye. Born in Gothenberg, Sweden, Anna took an interest in painting at a very young age, honing her skills under the guidance of her grandfather, celebrated artist Bror Halladin. Today, she is one of the world’s most respected hyper-realist painters, and looking at her breathtaking work, it’s easy to see why. Although she works with a limited palette of toned-down and muted colors, Halladin Maule is able to replicate human features so well, that her oil paintings often pass for photographs. 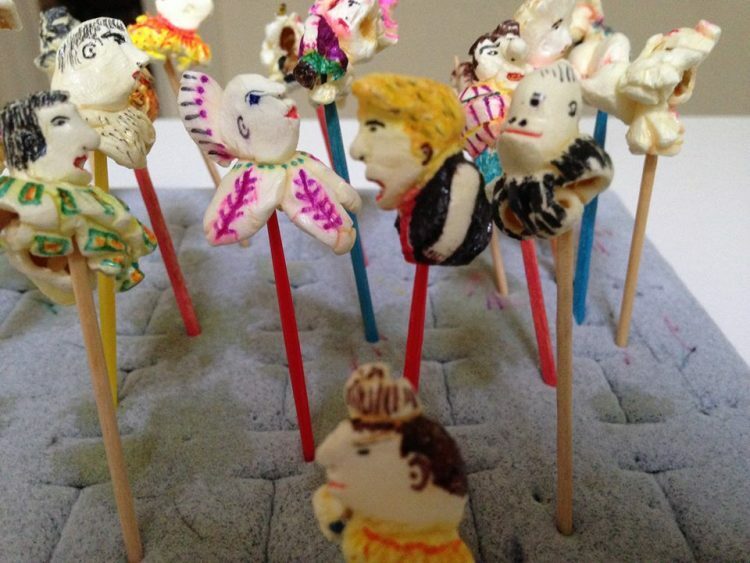 Harry Kalenberg has a unique hobby – he turns pieces of popcorn into tiny works of art using only colored felt markers and pens. From miniature models of celebrities like Elvis or Donald Trump, to popular cartoon characters and animals, Harry has a gift for spotting the craziest things in a bowl of popcorn. It all started 28 years ago, when Harry Kalenberg and his wife Esther were sitting on the couch one evening, eating popcorn. At one point, the artist spotted a strange-looking piece of popcorn that resembled a gorilla. 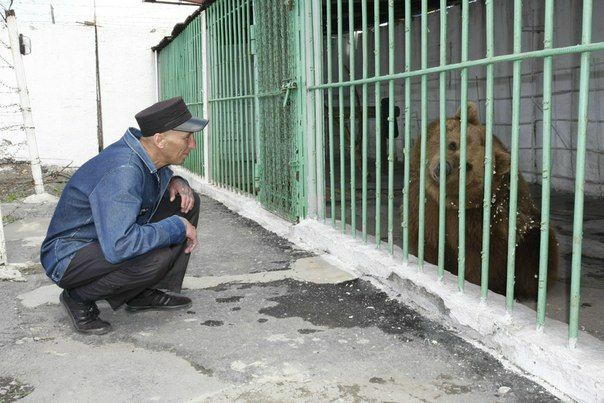 His wife wasn’t interested in the discovery, but he wouldn’t let her lack of enthusiasm curb his. He took out a ballpoint pen and started painting the details he saw with his mind’s eye, eventually bringing the popcorn gorilla to life. And that’s how his career as a popcorn artist started. 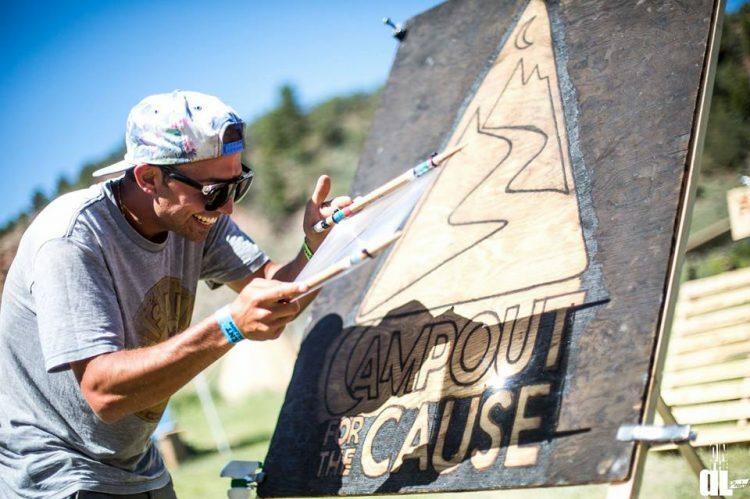 The word heliography usually refers to a photographic process invented in 1822, but Colorado-based artist Michael Papadakis has given it a new meaning after using it to describe his art of harnessing the sun to burn intricate artworks onto wooden panels with a magnifying glass. Up until five years ago, Michael Papadakis used to create art the old fashioned way, with painting and drawing supplies, but on a trip along the Silk Road from Asia to Europe, he discovered a new and ingenious tool – the magnifying glass. Seen from afar, the works of Turkish artist Çağatay Odabaş look like large-scale printed movie posters, but as viewers approach them to take a closer look, they discover that they are actually made up of hundreds of thousands of tiny hand-drawn circles. 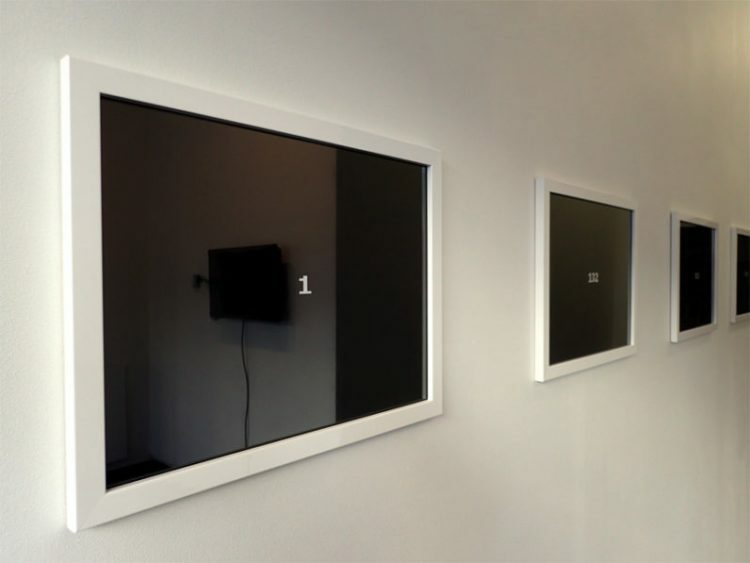 37-year-old Odabaş says that his art is largely influenced by his two most favorite activities growing up in the 80s and 90s – playing with LEGO bricks and watching movies. He starts out by picking out the movie stills he wants to recreate from his collection of thousands of films, which he considers his research library. He then proceeds to split this image into several pieces, mapping out each one with tiny circles, which are all assigned a certain code, to serve during the coloring process. 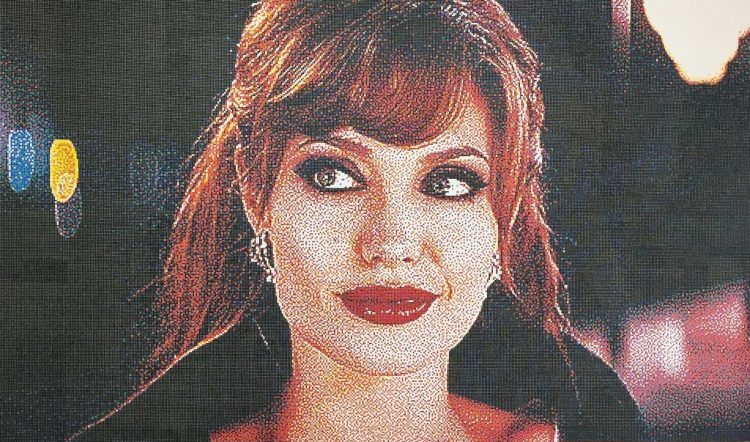 Then, like a complicated but fascinating LEGO model, he puts all the pieces together to create these ultra-realistic masterpieces of pointilism. 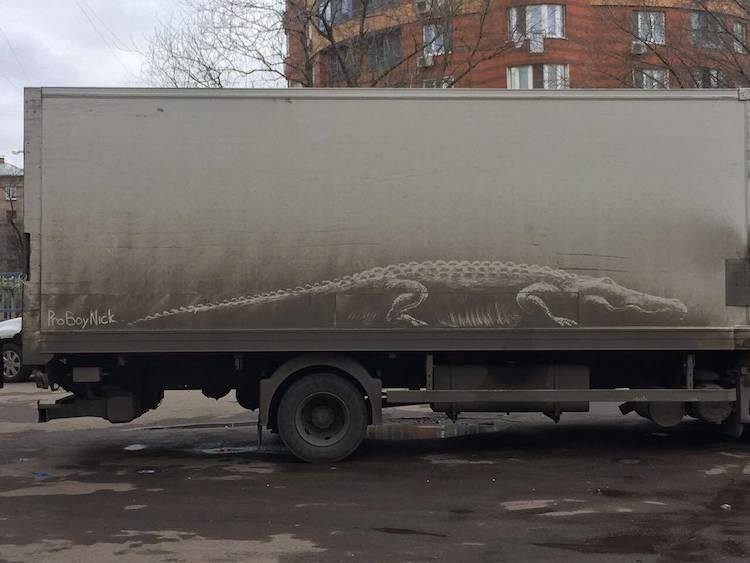 Most of us have trouble painting something decent on the largest of canvases, but true artists can unleash their talent on pretty much anything, even leaves. 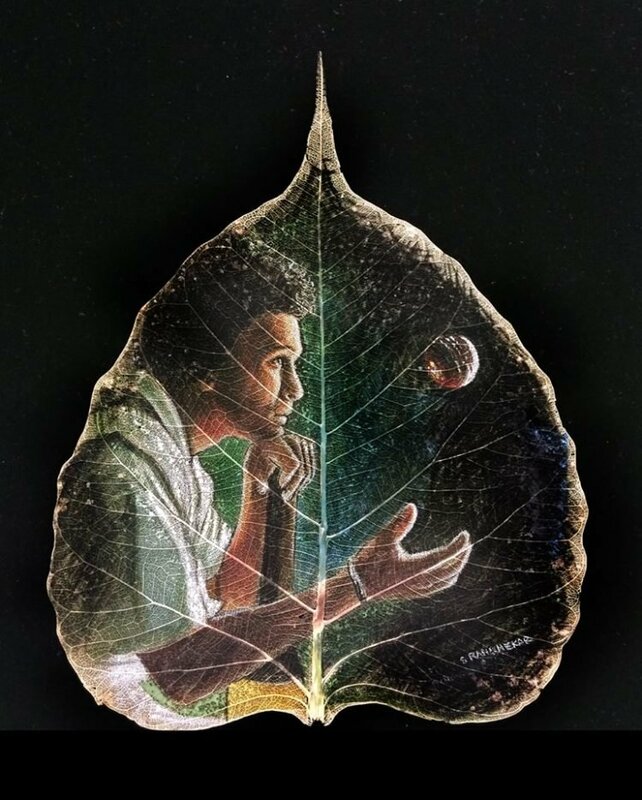 Case in point, Indian artist Sandesh S. Rangnekar, who paints detailed works of art on fragile skeleton peepal leaves. Rangnekar learned the ancient art of peepal leaf painting from his father, acclaimed artist Sadashiv G. Rangnekar. Fascinated by his father’s skills, Sandesh started sneaking into his art studio when he was 10-years-old and slowly but steadily mastered the traditional art form. He always made sure to leave the studio before his father came home, so he had no clue of his son’s artistic talent, and the first time Sandesh shared one of his early works with him, he was impressed. So much so that he encouraged the boy to use his paints and brushes from then on, which Sandesh says gave him a huge confidence boost. 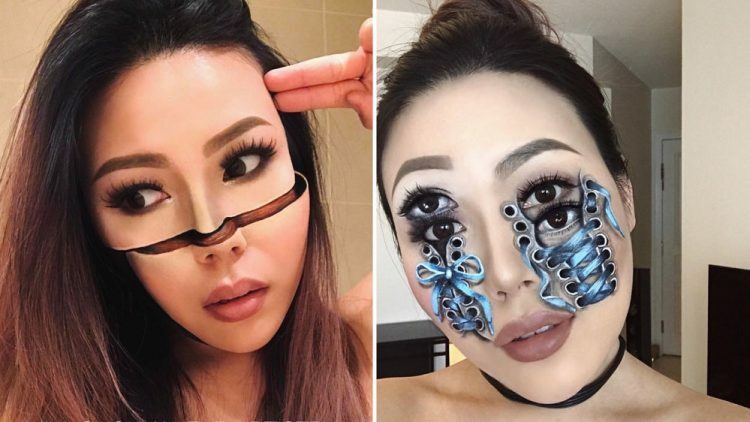 31-year-old Mimi Choi, a makeup artist from Vancouver, spends hours turning her face into mind-boggling optical illusions that look photoshopped at first glance. A former schoolteacher, Choi got into makeup only three years ago, attending classes at Blanche Macdonald, a local beauty school, to learn the basics of the craft. She’s come a long way since then, though, and today she uses her makeup skills to turn her own face into incredible optical illusions. If you’re the kind of person who shrugs at the mere thought of finding the tiniest scratch on their car, these photos are going to hurt, a lot. So if you’re the sensitive type, proceed at your own risk! 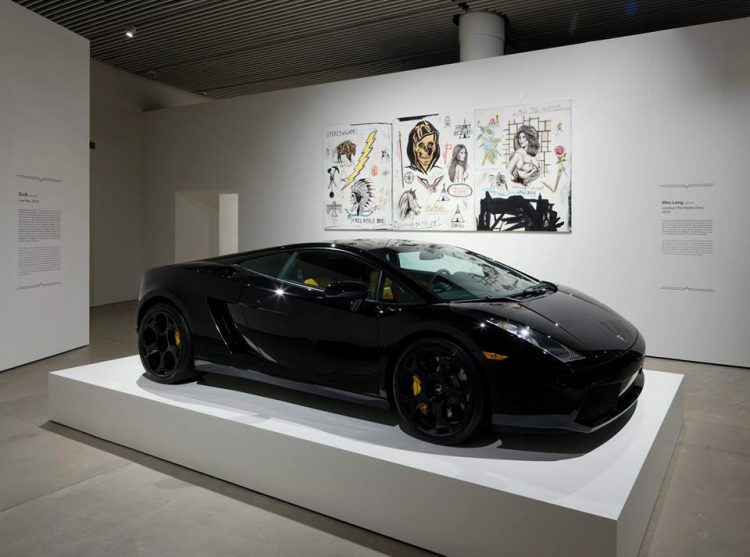 Last September, Danish museum ARoS Aarhus Kunstmuseum invited visitors to scratch a black Lamborghini Gallardo that had been placed on display, as part of the “No Man Is an Island” exhibition. 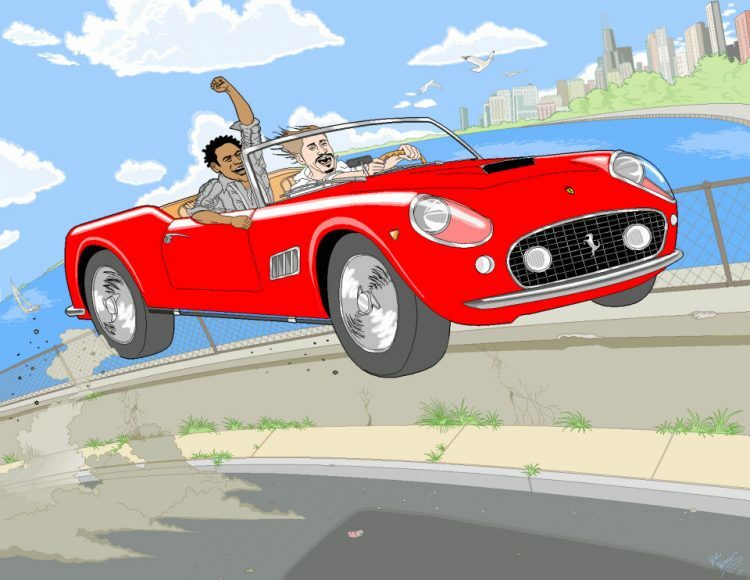 For three weeks, everyone was allowed to leave a destructive mark on the expensive Italian sports car, and even though people were skeptical about the whole thing in the beginning, once they were convinced that there would be no consequences to their vandalism, they really did a number on the poor thing. 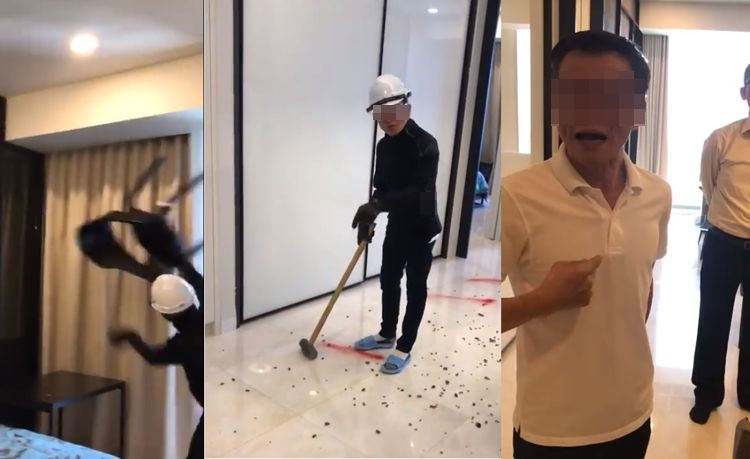 ARoS planned to leave the car at the mercy of total strangers for longer than three weeks, but the damage became so extensive during that time that they realized it would eventually go from black to completely white if they allowed the vandalism to go on any longer. They wanted to preserve the messages that had been scratched into the paint job up to that point, so they posted a guard in front of the exhibit and announced that the artwork was now complete and interaction with the car was no longer allowed. In an effort to raise awareness of the growing rate of knife crime throughout the UK, artist Alfie Bradley has spent the last couple of years creating the Knife Angel, a 24-foot-tall sculpture made out of 100,000 knives confiscated by, or surrendered to police stations. The Iron Throne imagined by George R.R. Martin and showcased on the HBO hit TV show Game of Thrones is supposed to be made out of 1,000 swords surrendered by a king’s enemies. 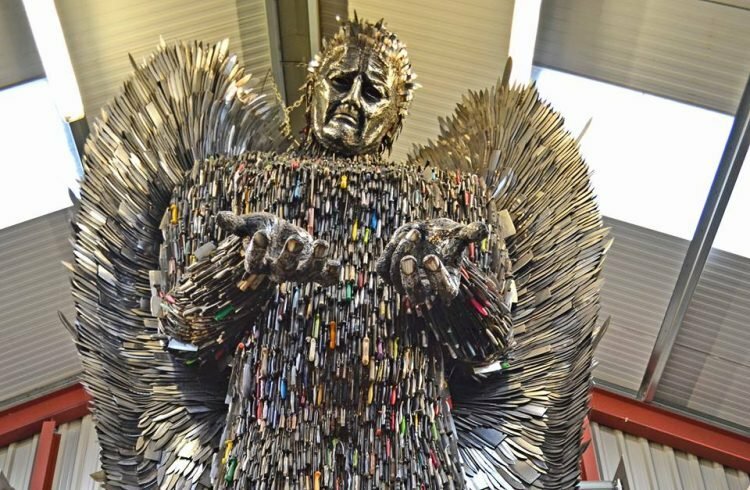 It’s an impressive sight, but it doesn’t even come close to the Knife Angel created at the British Ironworks Centre, in Shropshire, England. For the past two years, artist Alfie Bradley has been literally piecing together the awe-inspiring sculpture out of 100,000 knives confiscated by 41 police stations across the United Kingdom. Ever wonder what John Lennon’s “Imagine” looks like? Not the music video, but the song itself. 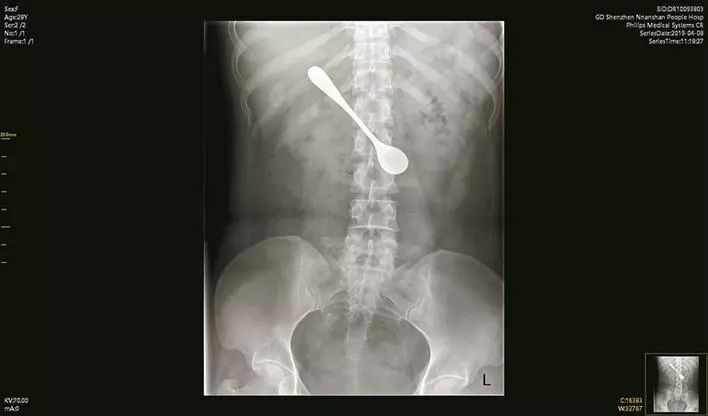 Well, thanks to artist Melissa McCracken, you don’t have to imagine it anymore. 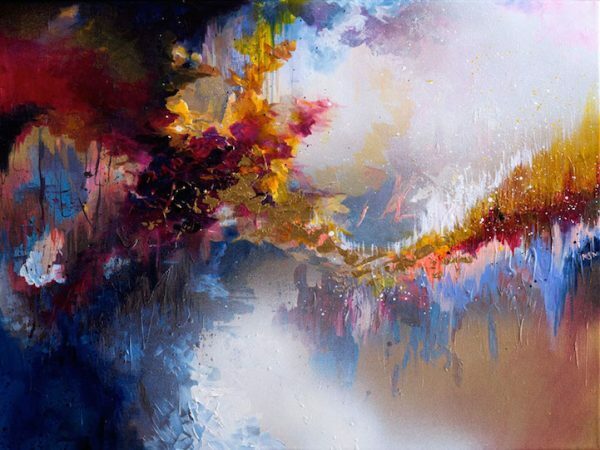 Melissa “suffers” from a condition known as synesthesia, which allows her to experience various things – from sounds to letters and even math formulas – as colors, so whenever she hears music, her mind’s eye sees a symphony of colors and textures. In a desire to capture the way she perceives music and share it with the rest of the world, the Missouri-based artist immortalizes popular songs as vibrant paintings. Most people let the strands of hair that fall off when their shower just go down the drain, or they throw it in the trash, but Lucy Gafford, a multimedia artist from Alabama, uses it to create detailed works of art right on her bathroom wall. 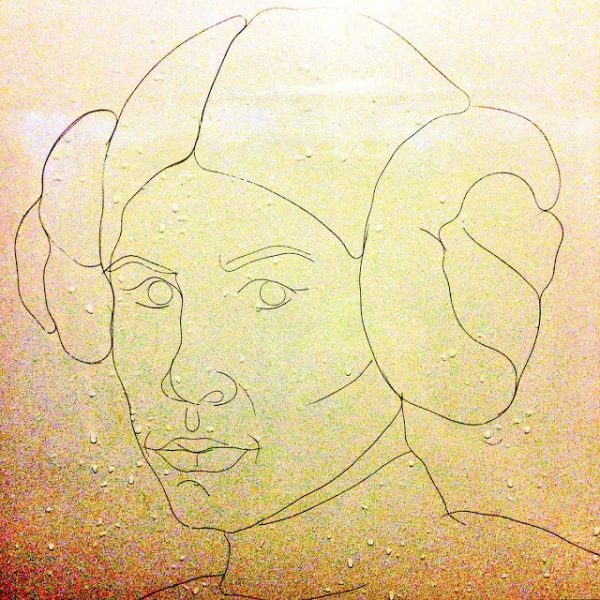 The self-proclaimed “Shower Hair Master” discovered that her wet hair made a unique, albeit bizarre art medium, three years ago, while showering. She gathered the hair that came off of her head while washing it, and spread it on the bathroom wall, as she usually did. She planned to throw it away after she was done, but this time she noticed that the strands made up a recognizable shape, so she started playing around with the mass of hair and ended up creating a squirrel. 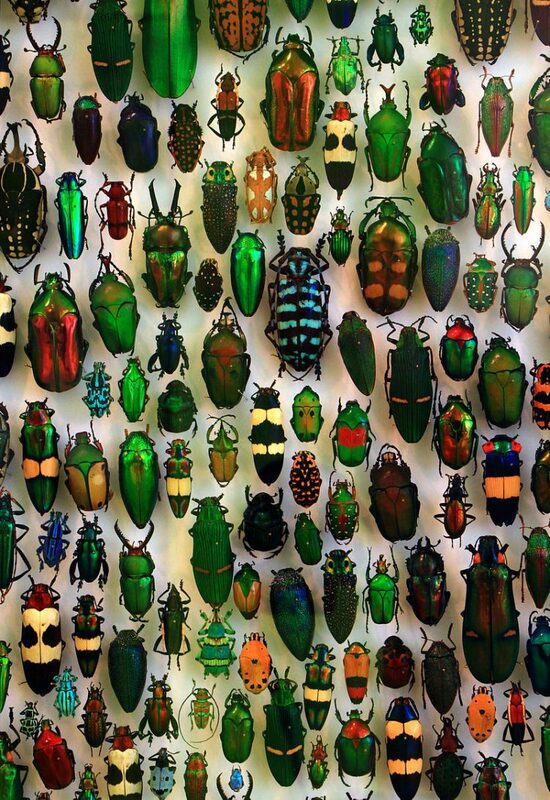 Japanese artist Yoneji Inamura spent six years of his life collecting 20,000 beetles of different varieties and using them to create a five-foot sculpture of a popular Buddhist deity. It’s unclear how and when exactly Inamura started catching and collecting beetles. Some sources claim that it was during his days working for the local railroad, in Itakura, Japan’s Gunma Prefecture, after noticing that the rhinoceros beetle’s horn resembled the fingers of the Buddhist deity, while others say that he was helping local children collect beetles and just became fascinated with them. Living in a rural area of Japan, Inamura was always surrounded by various types of beetles, including rhinoceros beetles, winged jewel beetles, drone beetles, longhorn beetles, just to name a few, and he dedicated most of his free time to catching and adding them to his collection.